There’s more to it than adding stuff at the right time. The right size, proportions and combinations can make a good loaf great. Many bread machines offer a fruit and nut hopper as a feature. The idea is that any fruits or nuts will be added at the right time to allow the fruits or nuts to be incorporated at the proper time without interfering with the kneading or rising process. Some machines that don’t have this automatic feature give you an audible series of beeps telling you it’s time to add the fruit or nuts. You may or may not know if your machine has this capability. Check your instruction manual if you’re not sure. You should also know that some machines don’t do a good job of dispensing fruit that is “sticky” like raisins. Nuts always seem to find their way into the dough. Fruit sometimes get stuck in the hopper. A common recommendation is to toss sticky fruits like raisins, dried cranberries and cherries in a little flour to prevent them from sticking to the hopper, and to each other. 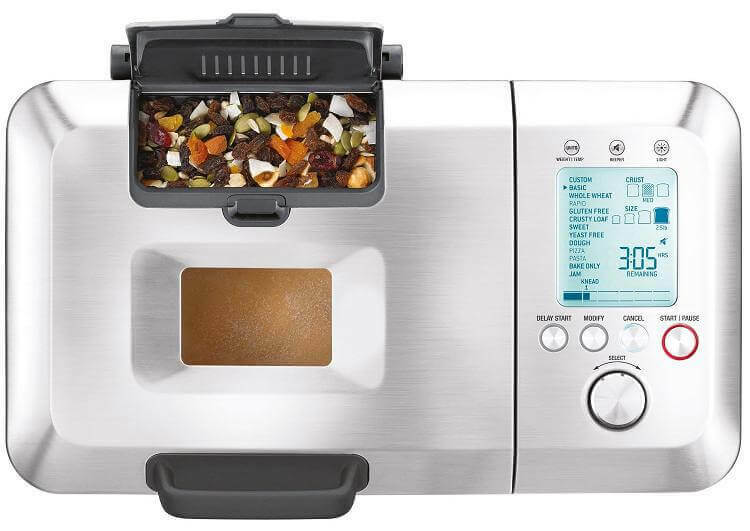 Whether your have an automatic fruit and nut dispenser or not, you can do wonderful things with bread machine recipes that feature fruits or nuts as an ingredient. The critical thing is to manage the proportion and add them at the right time. Timing is what the “beeps” or the fruit and nut hopper is all about. But the biggest mistake we make is when we add too much. Follow the directions and only add the exact amount of everything including the fruit and/or nuts to every recipe. Remember too that you can improvise and experiment. You can change the fruits or nuts to your tastes, or combine them. 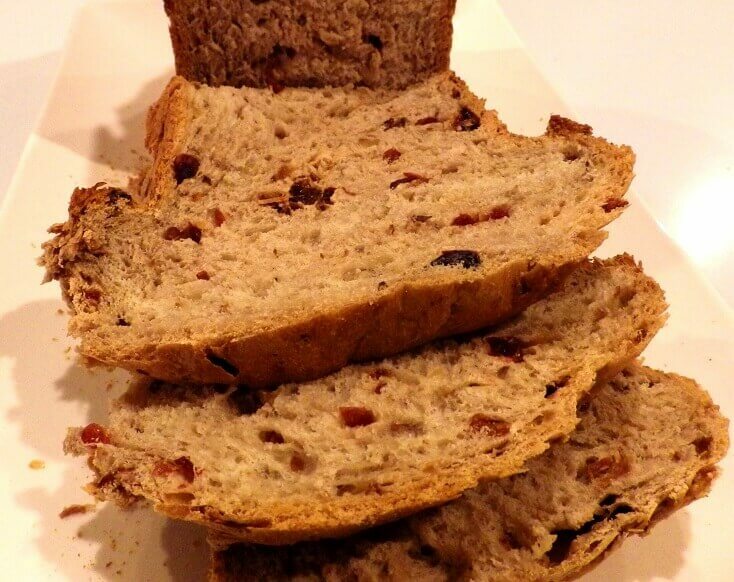 If you prefer dried cranberries instead of raisins you can simply substitute them. The same is true with nuts. You can also combine them as some of the recipes indicate. Just make sure you stay true to the fruit quantity indicated by the recipe. 1 cup plus 2 tablespoons water (70° to 80°). 2 tsps. active dry yeast. 1 cup dried fruit that could include dried cherries, cranberries and raisins depending on your preference). 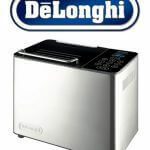 Place ingredients into the pan of the bread machine in the order recommended indicated or by the recommended by the manufacturer. Select Fruit Bread setting, and Start. 1 1/2 tablespoons vegetable oil. 1 1/2 cups bread flour. 1/2 cup dates, pitted and chopped. Place ingredients into the pan of the bread machine in the order of ingredients listed or recommended by the manufacturer. Select Fruit Bread setting, and Start. The dates and nuts can be added at the very beginning for better distribution, or added after the beep. 1 1/4 cups warm water (110 degrees F.) . 1 tablespoon oil (olive oil, canola oil or vegetable oil. 3 teaspoons instant active dry yeast. 2 to 2 1/2 cups of mixed chopped nuts and chopped dried fruit (such as raisins, dates, apricots, apples, cherries, etc.). Add to the bread pan either in this order or the order of ingredients recommended for your machine and select the Fruit and Nut setting and hit start. 1 egg plus enough water to equal 1 cup plus 2 tablespoons. 1tablespoon plus 1 teaspoon sugar. 1 teaspoon bread machine yeast. 1/3 cup mixed candied fruit. Place all ingredients except raisins and fruitcake mix in bread machine pan in the order listed or recommended by the manufacturer. 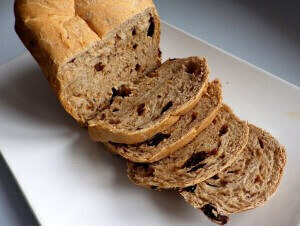 Add raisins and candied fruit at the raisin/nut signal or 5 to 10 minutes before last kneading cycle ends. If you have an automatic fruit hopper this will happen automatically. However, rather than the Fruit and Nut setting, select the Basic/White cycle. 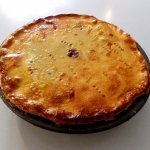 Use Medium or Light crust color. 1 1/2 tsp margarine, softened. 3 1/4 cups bread flour. 2 1/2 tsp active dry yeast. 1/2 cup chopped walnuts 1 Tbsp white vinegar. 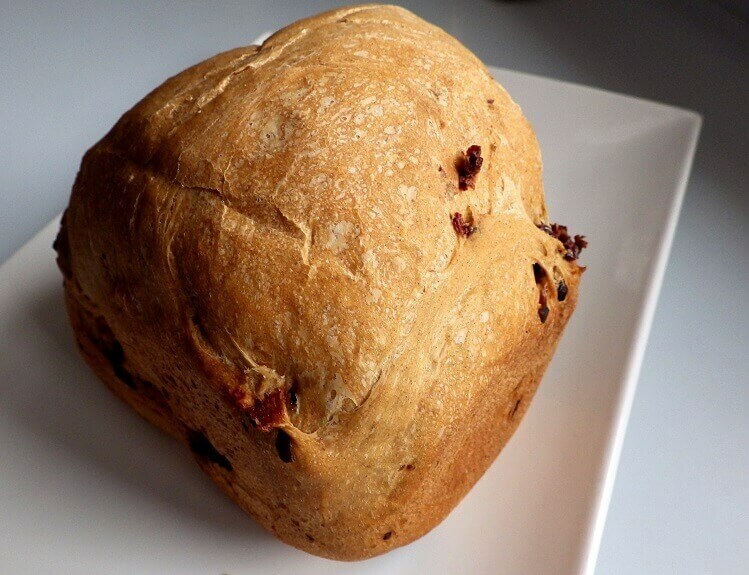 Place all ingredients except the cranberries and walnuts in the pan of the bread machine in the order identified or recommended by the manufacturer. Select light crust and sweet cycle or the fruit and nut cycle and press start. If your machine has a fruit setting, add the cranberries and walnuts at the signal, or around 5 minutes before the kneading cycle has finished. Measure carefully, placing all ingredients except raisins in bread machine pan in the order indicated or the order recommended by the manufacturer. Add raisins at the Raisin/Nut signal or 5 to 10 minutes before last kneading cycle ends. 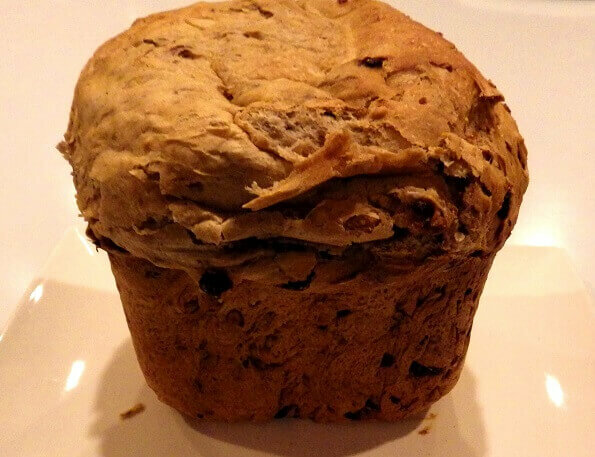 If using a fruit and nut hopper you might want to toss the raisins in flour so they don’t stick. Select Sweet, Fruit and Nut or Basic/White cycle. Use Medium or Light crust color. 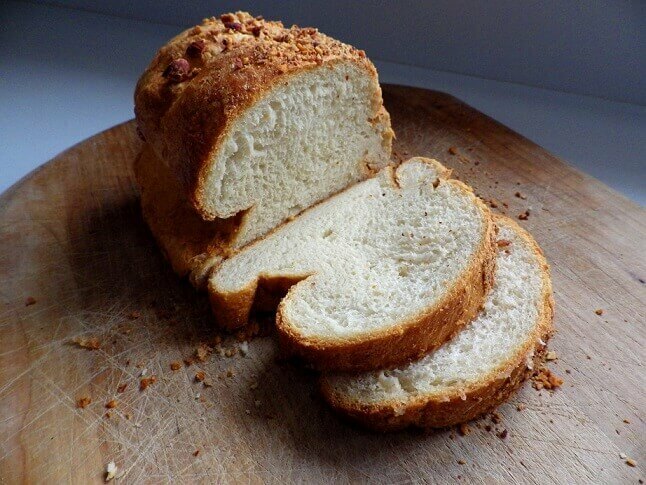 Remove baked bread from pan and cool on wire rack. 1/2 cup buttermilk (room temperature). 2/3 cup unsalted butter, 1/2 inch pieces (room temperature). 1 1/2 cups mashed bananas (The perfect bananas for this bread are slightly overripe, but not brown.). 2 2/3 cups unbleached flour. 1 1/2 teaspoon baking soda. Place ingredients in bread pan in order listed or according to manufacturer instructions. Add nuts to hopper or add at the beep as indicated by your instruction book. 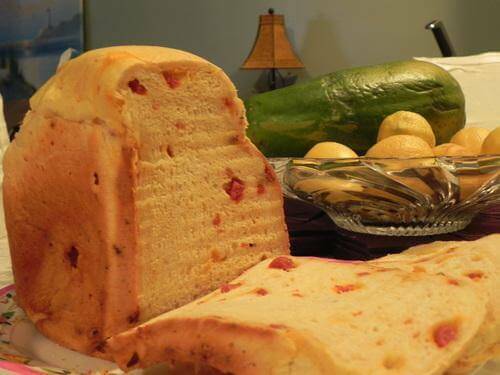 Select quick bread setting, large loaf (longest cooking time), and crust preference. Press start. The options are endless and you can continue to try new and varied combinations as you get more experience. Just remember to carefully measure your ingredients; add them to the machine in the order indicated by the recipes or the manufacturer; select the proper setting and make sure you add the fruits and nuts at the right time. It’s really not that hard, and once you get the idea you’ll be able to create your own fruit and nut bread masterpiece. My Sunbeam machine doesn’t have a Fruit Bread setting, and I am all set to put my ingredients in for date nut bread while my Thanksgiving company is still asleep! Yikes! Should I just try it on the basic setting? Intelligently :0-), I ruled out all my other settings and made an educated guess, using the Basic bread setting on 1.5 pound loaf and it worked beautifully. I have already made a second loaf! Even my no-frills-bread hubby used the last of the first loaf for a turkey sandwich.